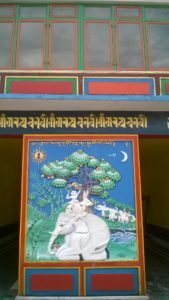 I have been to South Sikkim 3 times out of my many visits to Sikkim. 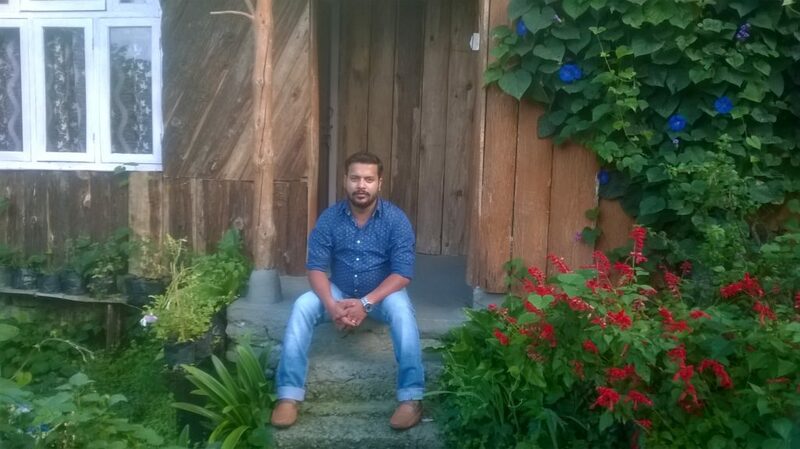 I have the experience of staying at Ravangla and Namchi quite a few times. Tourist traffic to these places like Namchi and Ravangla in south Sikkim is not as higher as other popular destinations in Sikkim. This is one of the many reasons I love visiting south Sikkim. I keep on searching for offbeat destinations as my usual habit and I wondered if there would be a perfect offbeat place near Ravangla. I searched for some places on internet and when I found Borong. 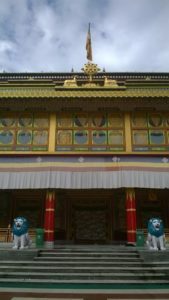 It was not the first time that I heard about Borong because previously some of my drivers in south Sikkim suggested me to stay at Borong but I couldn’t manage time. I had in mind that I would visit south Sikkim again and I would stay at Borong for sure. I kept searching for the place Borong, its attractions and specialities. 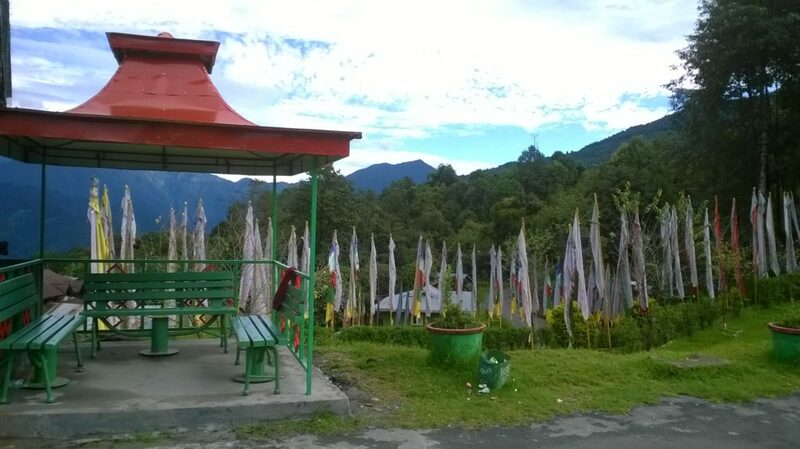 I had been wondering that Borong would be the perfect offbeat destination in south Sikkim that I am looking for. 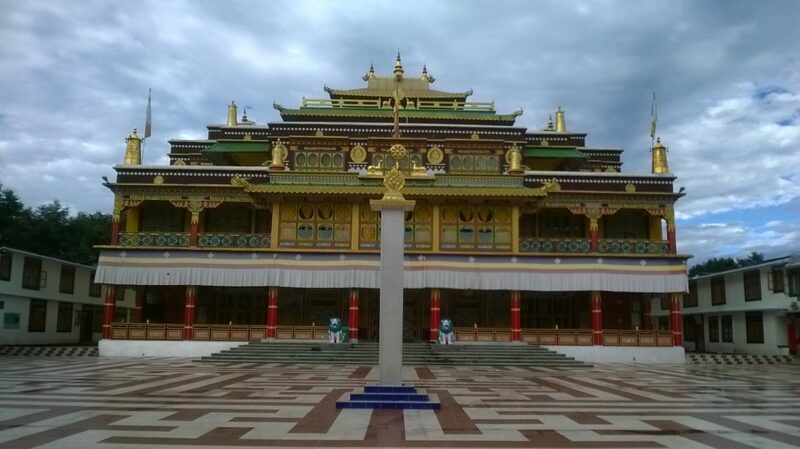 Finally so many years later of my first visit to Sikkim, after so many trips to the place I love so much, I decided to visit Borong, Ralong and Ravangla in south Sikkim again. We set off in the month of October, 2017. It was kind of a relaxing trip to the place. We just wanted to spend a couple of nights in peace amidst nature and away from the chaos. 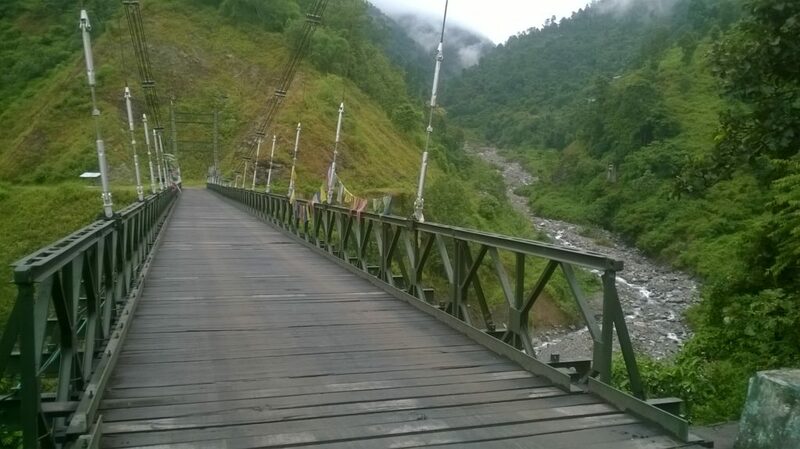 Borong is approximately 16-17 kilometres away from Ravangla. 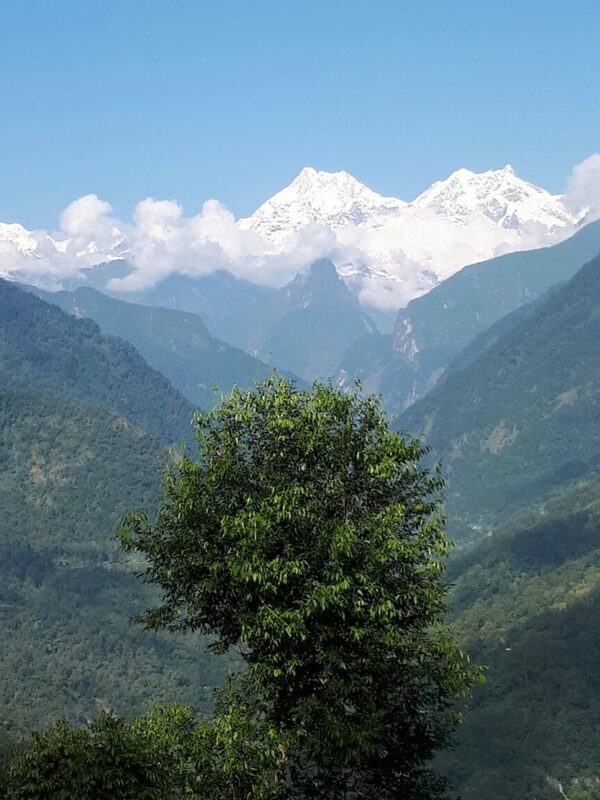 There is another beautiful village in between Ravangla and Borong, named as Ralong. We also covered Ralong in this trip. We took a morning flight to Bagdogra from Kolkata so that we reach Borong as early as possible via Ravangla. 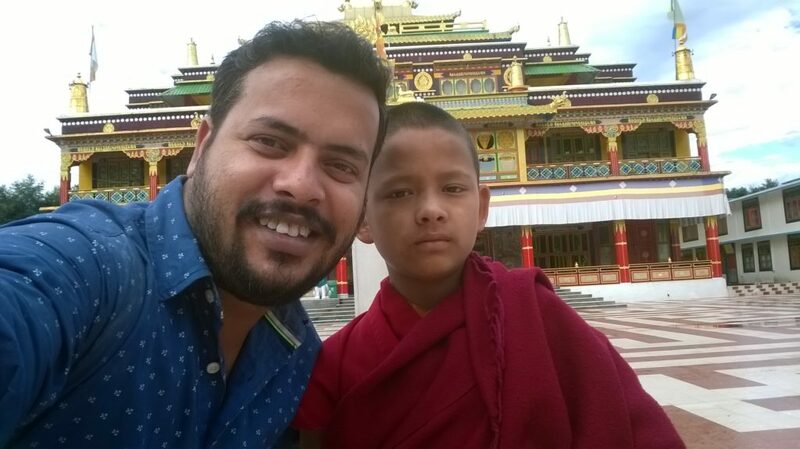 One of my friends who is a local guy in Ravangla waited at the airport along with the driver to pick us from there. We reached on time around 11 am and it took us almost 6 hours to reach Borong. 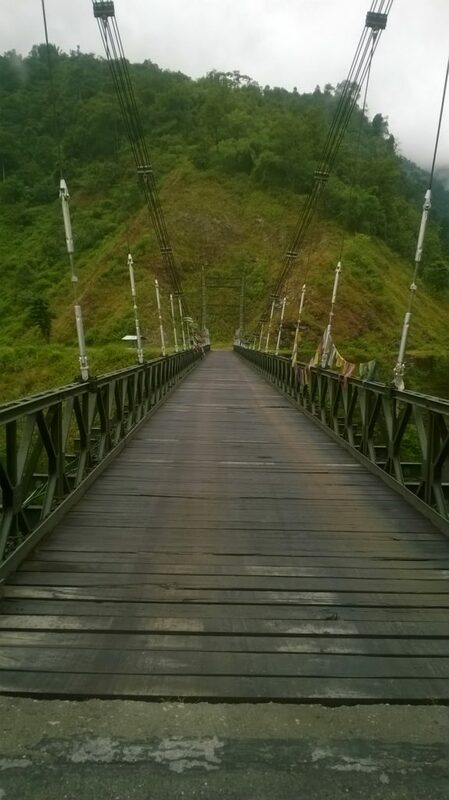 We didn’t go towards Rongpo but took the bridge from Melli that leads to Ravangla. It was quite cold when we were in Ravangla and understood that Borong would have quite cold weather. So it was, the weather at Borong was quite cold but pleasant. We had our breakfast on way. So we just checked-in and got out of room to have a stroll around the place. Borong was a small hamlet with few homes and 2-3 home stays including the Wild Flower Retreat that we stayed in. Borong is an ideal place for people seeking peace, tranquillity and serenity. If you are one of the persons loving an absolute desolate place amidst nature, Borong is the place. It is a paradise for bird watching for photographers who intend to capture some special snaps. I found Borong to be a perfect place for relaxation and one can happily spend a couple of nights in leisure. The view of the Mt. 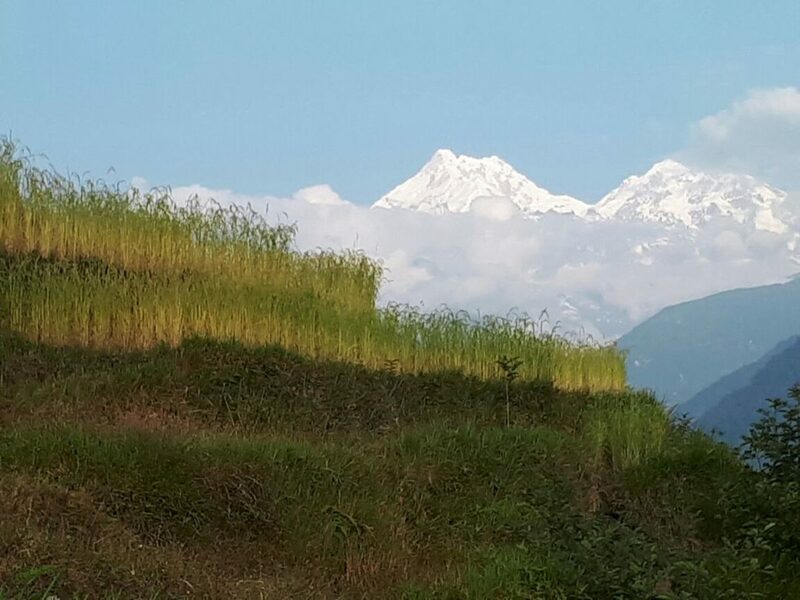 Narsing on Kanchenjungha from Borong is magnificent. The gigantic mountain appears closer from here. One can get a view of the snow peaked mountain across green hills from the home stay rooms. In October, the weather was superb. Usually Borong is an all weather offbeat tourist destination in south Sikkim like offbeat destination along Silk Route or north Sikkim. I will never forget the spectacular Sunrise view and the Sunset view across the snow-capped mountains. Perhaps this would be best attraction for nature lovers who set off on relaxing trips. Borong is gifted with nature to its full. We spotted so many varieties of birds there. We could hear so many sounds of birds and we woke up early each morning with these birds’ sounds. Birds and butterflies will cheer you up every morning. 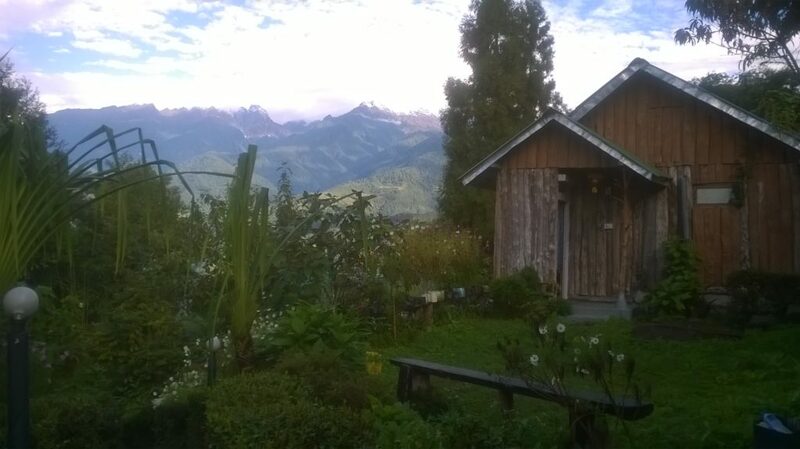 Our resort – Wild Flower Retreat in Borong is probably one of the best resorts I have stayed Sikkim. Wild Flower Retreat is a resort nestled in the Silent Valley of Maenam Sanctuary at Borong. 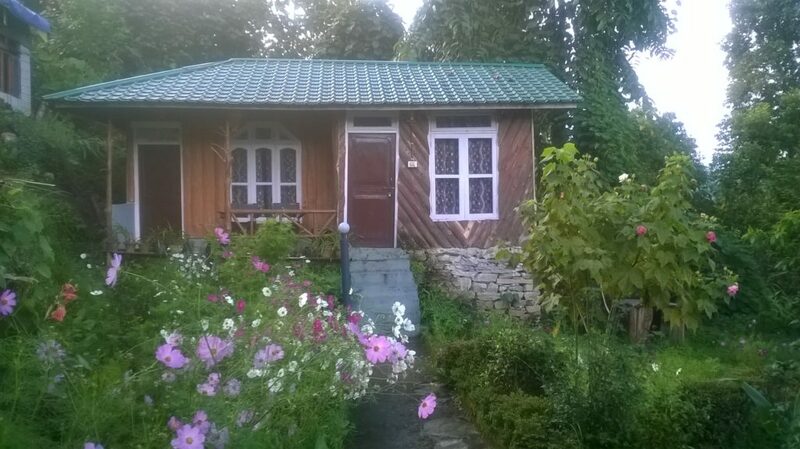 The resort comprises of log cottages with wild flowers and garden all around. If you are planning a trip at Borong, I would suggest you to stay at this resort. If you want this resort to give a try, let me know. I will share the personal contact number of the owner. I am sure he would recognise me by my name and would serve you the best. I would share more on Wild Flower Retreat at Borong in a separate write-up for sure. You would get all details there. People who are in search of tourist spots on their trips will not be disappointed too because there are so many places of interest one can cover around Borong and Ralong. 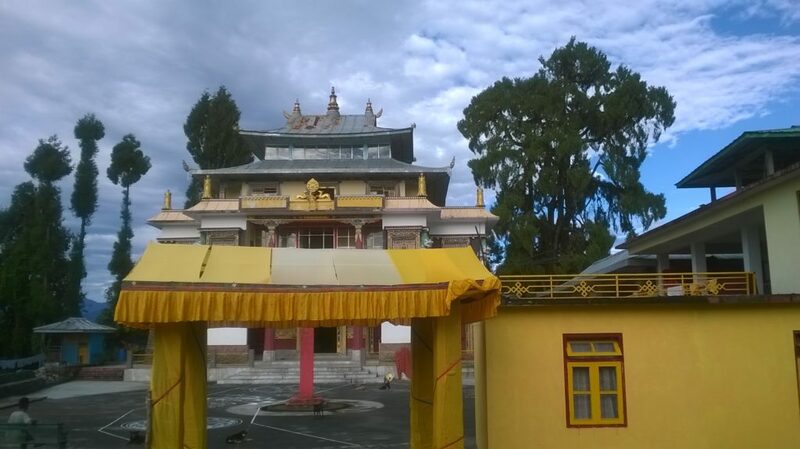 One can hire a cab to make a day trip of all places and sightseeing around Borong, Ravangla and Ralong. Temi tea garden in Namchi is not far away too. One can easily cover Temi tea garden and Sandruptse from here. If one is interested to cover all places of interest near Borong, I would suggest 2-3 nights stay at Borong. One would need 2 full days to cover all tourist spots at Borong or nearby extending upto Namchi. Tourist places around Borong which can be covered on a day trip provided below. To cover all above mentioned places of interest, one would need 2 full days. It is not feasible to cover all places in a day. It would generally take a day to cover first 6 points within Ravangla division and later 6 points can be covered another full day which is in Namchi division. Apart from bird watching, Borong is also a very good destination for hiking and trekking. One can reach the Maenam Peak hiking through the Maenam sanctuary. The Maenam Hill Trek is quite popular among hikers. Borong Tsachu is the hot water spring on the bank of River Rangit. One has to travel 7 Kms by car approximately and then 30 minutes of moderate hiking would reach him to the hot spring. Another hiking destination is Dhappar Lake. 15 kilometres of moderate trekking from Borong would lead you to Dhappar Lake. A visit to this beautiful Dhappar Lake will require one night halt there. There are 2-3 home stays which can be managed from Borong. Borong is an all weather tourist destination. October to February is a good time to visit Borong if you have no issues with cold. Weather remains quite cold during this period of time. April-May is good time if you love flowers. If you are travelling for bird and butterfly watching or photography, April-May would be a good time for sure. During monsoon the place has its own charm too. If you are a nature lover and if you love Cherrapunjee-Mawsynram in Meghalaya, you would love Borong too. Borong is 6 hours journey approximately from Bagdogra/NJP/Siliguri on average. 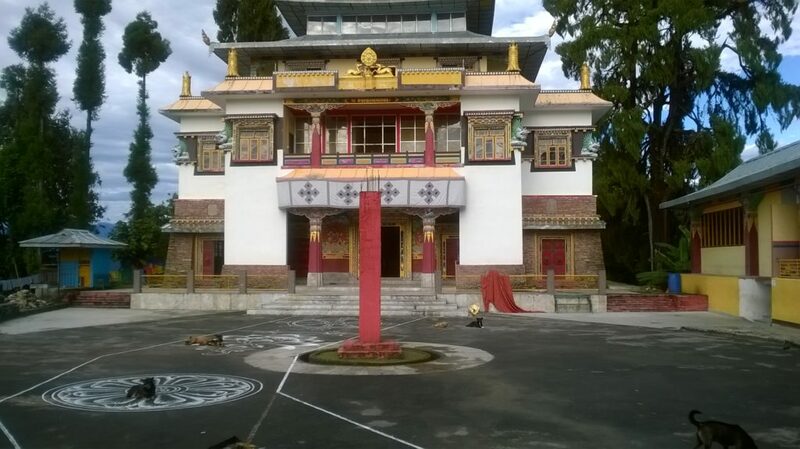 You can also visit Borong from Gangtok, Pelling, Kaluk, Richenpong, etc. Ravangla is just 17-18 kilometres far. If you want to cover south Sikkim but want to avoid a stay at Ravngla, Borong is the best place to stay at. If you have already decided to visit Borong or planning a trip there, do not hesitate to give me a ring on my mobile 9831540384 or mail me at “uvreachedavi@gmail.com”. I can surely help you with all details and planning. Do visit Borong, the view will just keep you entranced. 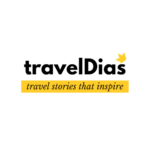 Keep reading TravelDias and stay tuned to Blog section for details on Borong and nearby places. Keep travelling.